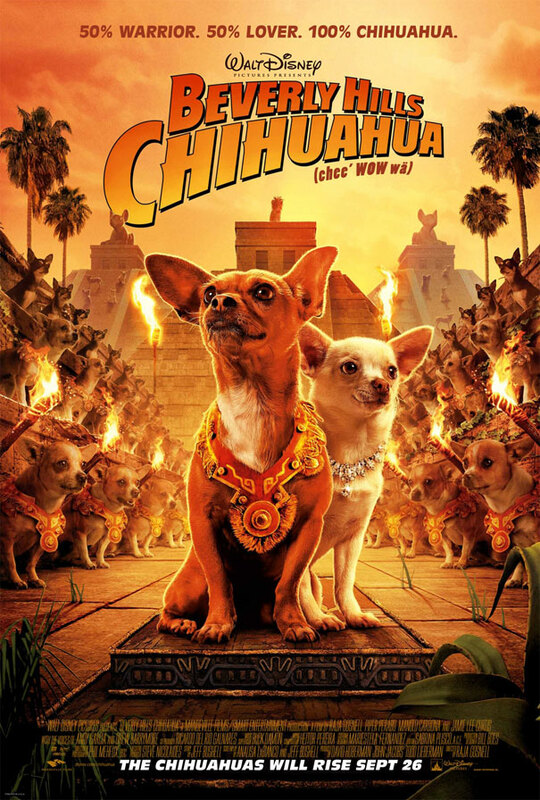 Walt Disney Pictures has provided us with the new one-sheet director Raja Gosnell’s Beverly Hills Chihuahua, coming to theaters on September 26. The adventure comedy stars Piper Perabo, Manolo Cardona and Jamie Lee Curtis, and features the voices of Andy Garcia, Placido Domingo, George Lopez, Salma Hayek, Edward James Olmos, Paul Rodriguez, Cheech Marin, Piolin and Drew Barrymore. You can view a bigger version of the poster by clicking it below, and for more on the movie, go here.